Sweet potatoes are so delicious and sweet, even without all the sugar. It really makes it interesting when you get to choose from all the different colors that are available today. Maybe they aren’t available in most grocery stores but you can definitely find different colors at the farmers markets and possibly at healthy grocery stores such as Whole Foods and EarthFare. I have fallen in love with the many different varieties of sweet potatoes. It’s so neat to see and taste the difference. Todd and I were lucky enough to find a small farmer in our area that grows the varieties of sweet potato slips that we were looking for. He mentioned that he has grown around 30 varieties in the past but has since narrowed it down to his favorite 8 varieties. 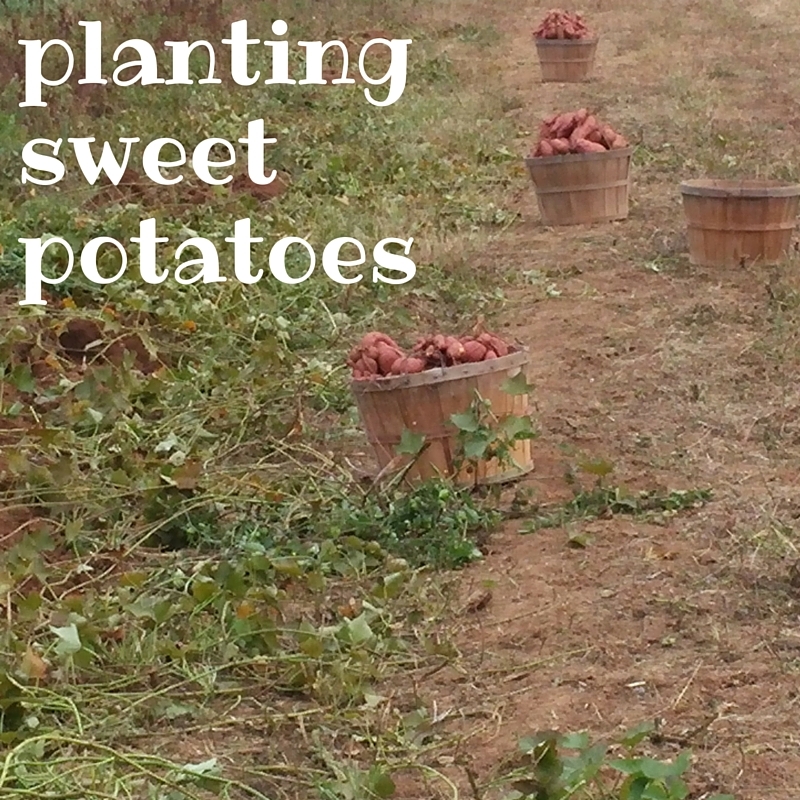 We bought 5 varieties of his sweet potato slips – 25 of each….Tennessee Red, Bradshaw, Norton, Nancy Hall, and Lee Purple. I am very excited. I have bought a few of these sweet potatoes from another area farmer a couple years ago and I absolutely loved them. I specifically remember making a purple sweet potato pie that year for Thanksgiving. Very very delicious! Okay, I’m getting a little off track. Well, we made a video this past week when we planted our sweet potato slips. Todd’s grandfather showed him how to plant sweet potato slips when he was young and they’ve been doing it that way ever since. Here’s the video. We hope you find it helpful. Next Post: Christmas Sale in November!